Beaver Shredding, Inc., provides professional mobile confidential paper shredding services for companies like yours at reasonable prices. Don’t let your private documents fall into the wrong hands. Discover the difference Beaver Shredding, Inc., can make for you with our confidential paper shredding solutions. Call 708-458-8525 today and speak to one of our knowledgeable representatives about how the industry experts at Beaver Shredding, Inc., can safely handle all of your confidential paper shredding needs. The state-of-the-art mobile shedding trucks Beaver Shredding, Inc., uses are faster, more efficient with a high volume destruction process. If you are currently doing your own shredding of documents, the professionals at Beaver Shredding will save you money and give you peace of mind with our confidential paper shredding service options. Our team of experienced professionals will perform your confidential paper shredding at a rate of 3,000 pounds per hour. 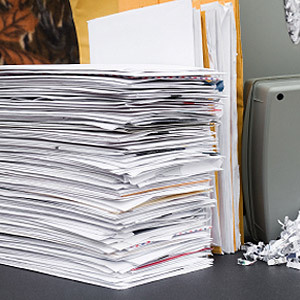 When you have payroll records, financial statements, human resource documents or important legal records you need destroyed, rely on the team of experts at Beaver Shredding, Inc., to handle all of your confidential paper shredding needs. Confidential paper shredding services are available from Beaver Shredding, Inc., with weekly, monthly, semimonthly, quarterly and semi-quarterly service schedules. We also offer annual or one-time confidential paper shredding. -Signed certificate of destruction for your file. Call 708-458-8525 today to discover how the industry experts at Beaver Shredding, Inc., can safely and easily handle all of your confidential paper shredding needs. Or simply fill out the contacct form below and an associate will respond shortly.